B and his selai. . Wallpaper and background images in the Beyond Birthday club. 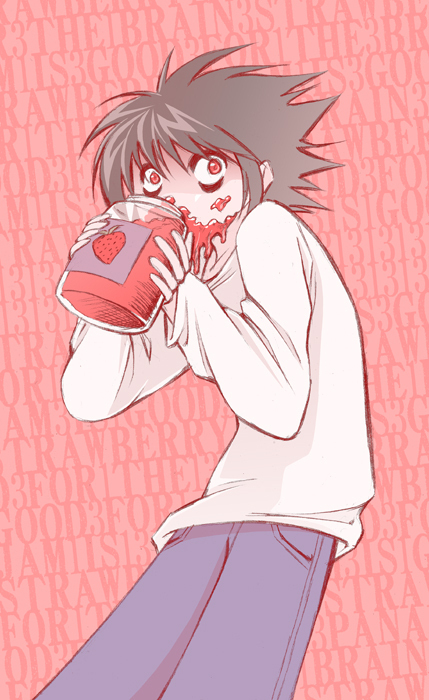 Aww, cute BB!...uh, no thanks, I don't really eat jam a lot...^^; You go ahead and have it! Fine then eat it! I hope you enjoy it cuz it may be your last!